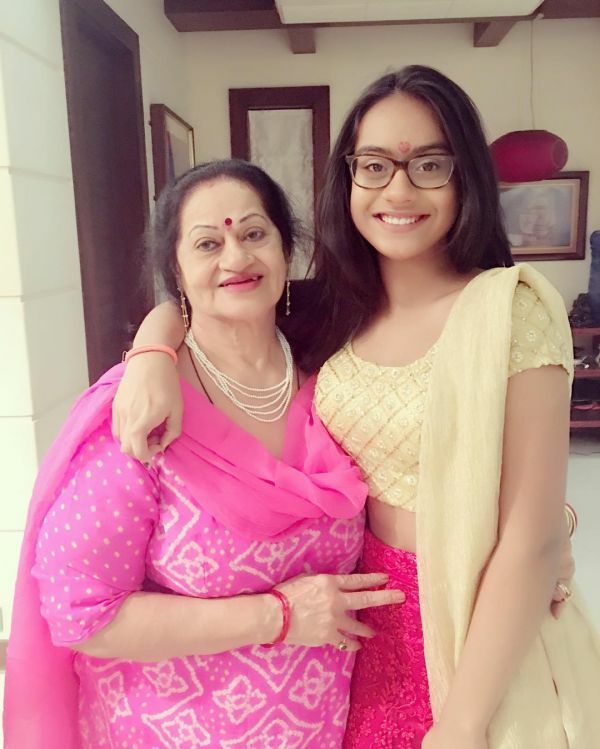 Nysa Devgan is just 15 years old, but the celebrity kid has already become the talk of town. The daughter of two of India's popular actors, she has received a lot of attention from fans online and offline. She has also been spotted at several movie launches as well as social gatherings with her parents. Nysa has already made her mark with her fashion choices and her witty responses to mom Kajol on social media. We have done a deep-dive to scoop out everything about Nysa. So if you are still wondering who this star kid is, we have the answers. Both Nysa's parents are well-established actors. Kajol and Ajay were first properly acquainted with each other in 1995 on the sets of Hulchul and initially didn't hit off. 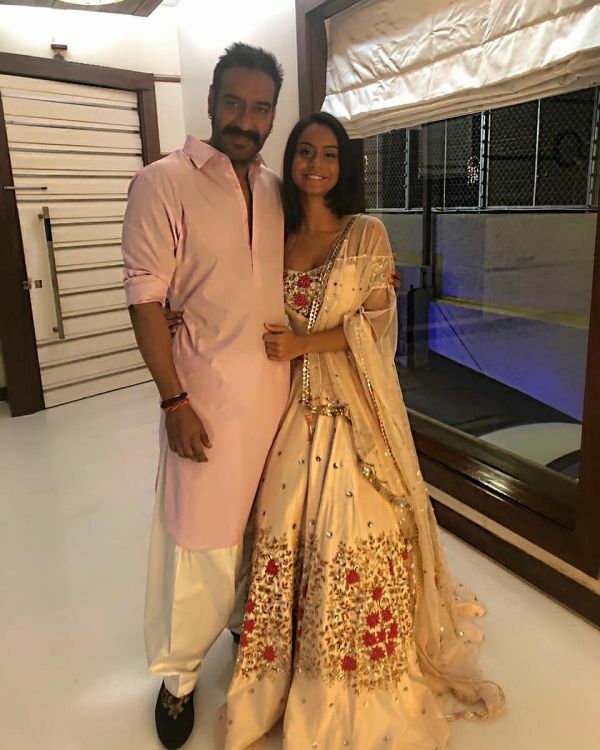 Apparently, Ajay thought Kajol was "loud and a very talkative person," while the actress found him to be very reserved. However, the two became friends and then slowly grew closer, ultimately resulting in their marriage on February 24th, 1999. Nysa was born on April 20th, 2003, in Breach Candy hospital in Mumbai, four years after her parents got married. She has a younger brother, Yug Devgan, who was born seven years later on September 14th, 2010. Nysa's name means 'a new beginning' and reportedly, Ajay had already decided that if the couple had a baby girl, her name would be Nysa. Action director Veeru Devgan is her grandfather, while her grandmother Veena Devgan is a producer. Tanuja Mukherjee is her maternal grandmother, while Neal N Nikki actress Tanisha is her maasi (maternal aunt). Nysa is also related to Rani Mukerji from her mother's father's side. That makes producer Aditya Chopra and actor Uday Chopra her uncles. Kajol's first movie after Nysa's birth was in 2006 when she appeared in Kunal Kohli's Fanaa, alongside Aamir Khan. Since then, she has only appeared in a select number of movies, because she wanted to be there for her daughter. "My only reason why I am not doing films is my children," Kajol had said in 2014. "They need my attention, and it's my duty to give them my time." 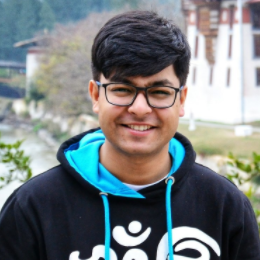 After initially schooling at Dhirubhai Ambani International School in Mumbai, Nysa enrolled in the United College of Southeast Asia in Singapore in early 2018. She followed her mother's footsteps by choosing to study in a boarding school. 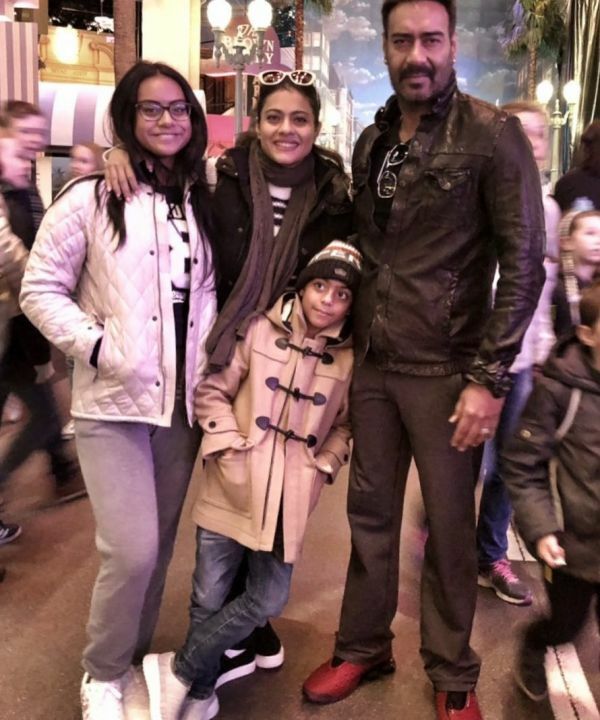 Kajol and Ajay have reportedly purchased an apartment in the city to make travelling between the two countries easier. Nysa reportedly likes to spend her time at home doing things she loves. She is an avid reader as well as a swimmer. She once baked a cake for Kajol on her birthday, and even made sushi for mommy. 8. Her Love For Bhindi Is Unparalleled! The 15-year-old is reportedly not a fussy eater and bhindi or okra is among her favourite things to eat. As a child, she would eat her food only if there was some bhindi on her plate. Nysa accompanied her parents when they were shooting for U, Me Aur Hum in 2008. The movie was also Ajay Devgn's directorial debut. A part of the movie was shot on a cruise and Nysa, who was only four years old, thought that the entire schedule was like a big picnic. She was apparently a bundle of joy on set and Kajol also described her as the best part of being on set. Back in 2014, Nysa made her first official appearance in front of the camera. She reportedly had a role in a short movie, which was part of her school assignment she had to finish with some of her close friends. Her father also went on to mention that Nysa was interested in movies. Nysa is known for her casual chic look. She may not grace designer clothes that often, but she has a consistently makes even the most routine outfits look anything but routine. 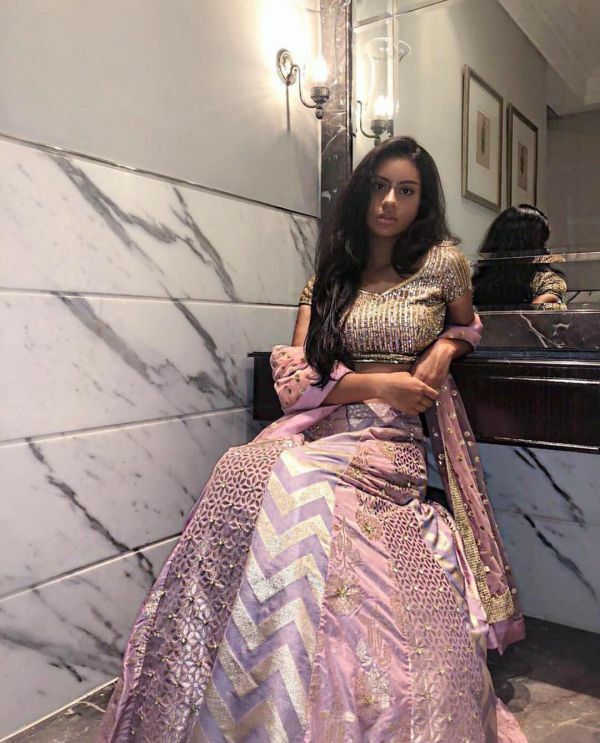 Whether it is stealing the thunder from her actor parents with the perfect Diwali outfit or causing a stunning stir when she totally managed to pull off her 'sweatshirt-only' look, Nysa has already made the headlines. Kajol had told a leading daily in July last year that she was a little concerned about how well recognised Nysa already was. "That does trouble me when I think about my own daughter and she has gone through a lot of complete nonsense," Kajol said. "She has to have security when she goes out in Bombay and you know I've had people stop her at airports and stuff like that too, 'Let's take a selfie.'"